Practicing yoga in the morning has great benefits. It keeps you feeling fresh and energized throughout the day. 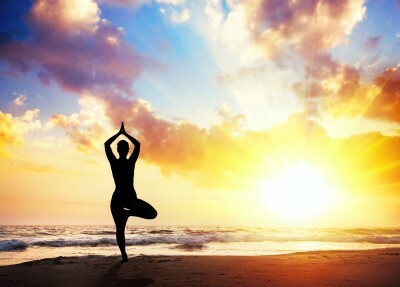 Practicing yoga regularly in the morning will get you into good shape and also keep you stress free. It will make you develop a more positive outlook towards life. Joining a morning yoga class can do wonders for your mental and physical well being. Morning yoga combines gentle exercise in the form of poses along with deep breathing to give you a complete mind and body workout. Yoga is a great way to loose all that extra weight. It really works wonders for your shape. Yoga is a great way of energizing the mind too. Studies have shown that people who practice morning yoga diligently have a good memory, are mentally alert and sharper then people who don’t normally practice yoga. Its a great way of reducing stress in your life. Yoga puts you in a relatively good mood which lasts throughout the day. This will have a great impact on your life and you can become a stress free individual. Morning yoga also helps in increasing the flexibility of the body, therefore its great for people with arthritic and joint pain. Yoga instructor Noelani Love has shared five yoga poses which are a great way to start your morning. Standing backbend and side stretches. Raise your arms straight up and inhale a lungful of air. Now exhale slowly by bringing one hand down while the other is still raised. You will feel a certain amount of stretch in your sides and ribs. Slowly bring your hand down. Repeat with the other hand. Keep your feet hip distance apart and spread your toes out, as if planting yourself firmly in the ground, now bring your hands to your hips. Slowly inhale and bring one foot up and place it on the knee. Fall down on your hands and knees. Distribute your weight evenly on the ground. Inhale in to the cow pose, head lifted, and belly dropped and exhale in the cat pose, spine upwards and chin pressed in the chest. Tuck your toes under your body and lift your tail bone upwards. Now dig the soles of your feet in the ground. Take deep breaths and repeat. 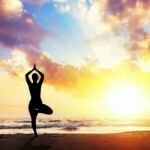 What to expect in a morning yoga class? At your first morning yoga class you will be expected to be on time. You might also have to wear workout clothes designed specifically for yoga classes. The teacher might call out instructions in Sanskrit, which might just whiz over your head, but don’t get demotivated, you are there to learn and you will learn eventually. The teacher will ask you to inhale and exhale again and again. Whatever the case don’t feel shy and practice your yoga with diligence to get great benefits.